This weekend’s Formula One Grand Prix in Bahrain seems like a completely different story is unfolding to the one we caught a glimpse of in Australia two weeks ago. 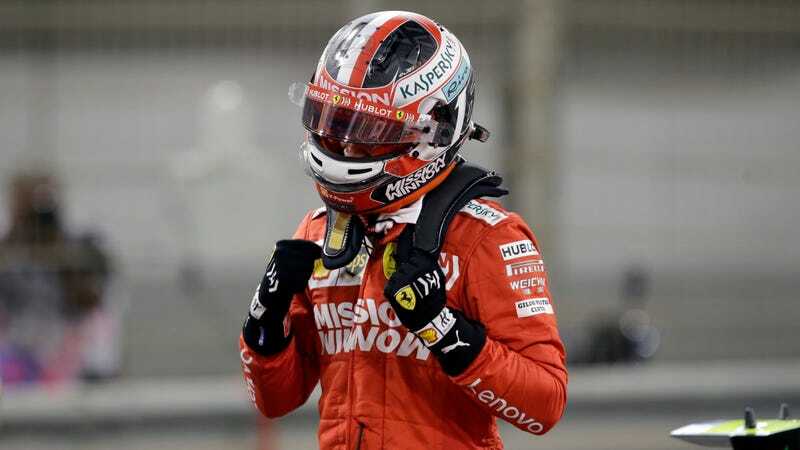 Unlike Australia, where Ferrari ran quick in practice before getting curb stomped by Mercedes in qualifying, Bahrain shows massive forward motion for the team in red, led by the unlikely 21-year-old Charles Leclerc. I just said yesterday that I wished for more surprise from the F1 proceedings, and this certainly qualifies as a welcome one. After making it through to Q3 with no issues, it was Ferrari and Mercedes going toe to toe for a battle to pole. Leclerc went out for an initial run and set a storming 1:27.958 on softs before pitting and going out for a second run to improve to 1:27.866. Vettel bet it all on a single late run in Q3, which netted the champion outside pole with a 1:28.160, nearly three tenths of a second behind his younger teammate. Mercedes is still in the fight with Hamilton starting third ahead of teammate Bottas. Max Verstappen pushing the Red Bull Honda up into fifth shows some promise, while Red Bull’s Pierre Gasly didn’t even make it out of Q2. Kevin Magnussen and Romain Grosjean did a good job for Haas, netting 6th and 8th respectively. The real surprise here, however, is a somewhat resurgent McLaren Renault with both drivers out-qualifying both of the factory Renault Renault drivers, as Daniel Ricciardo again failed to advance to Q3. We’ll see tomorrow if Ferrari can capitalize on this qualifying success and turn it into race pace. Pay close attention to turn one, it could get ugly.